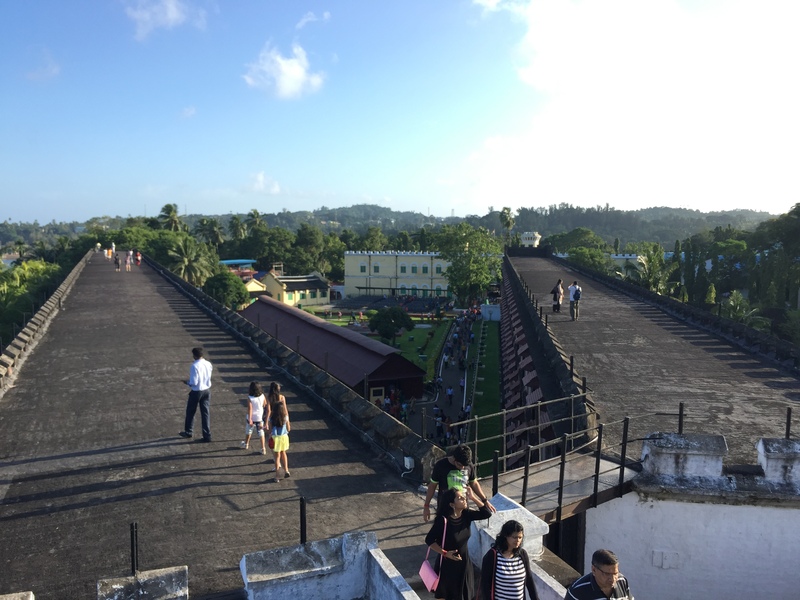 During our trip to the Andaman and Nicobar Islands, Sophia, Heather, and I decided to visit one of Port Blair’s most important monuments: The Cellular Jail. We walked up the hill until we reached the main entrance, and for 30 Indian rupees we got to see one of the most breath-taking historical sites that I have ever visited. 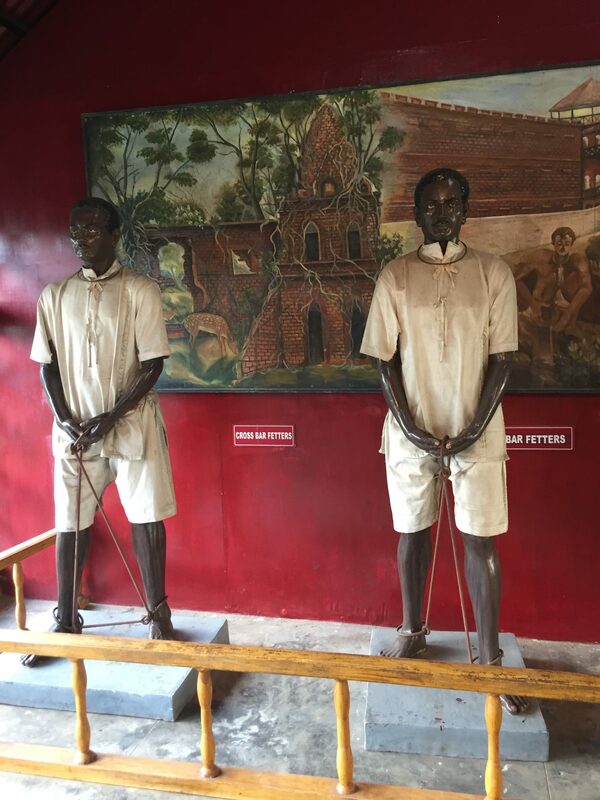 Not only does the jail represent the transitions of a British penal colony that was initially established for criminal rehabilitation, but also the atrocities that officials under the British raj committed towards freedom fighters of the 1850’s. I discovered that the British first arrived to the Andaman and Nicobar Islands in the mid 1700’s. Even though the islands served as a penal colony and a naval settlement for the British since their arrival, the construction of the jail infrastructure only began in 1896. However, the initial British penal settlement in the Andaman and Nicobar Islands did not last long. 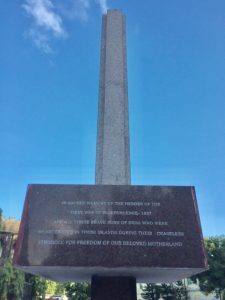 Towards the end of the 18th century, too many prisoner deaths prompted the British to stop sending convicts to the islands and pause the penal settlement for a while. The prisoner deaths were caused by different factors such as disease outbreaks like malaria, failed attempts of escaping the settlement, violent encounters with native tribes, negative health effects due to the climate, among others. For sixty years, due to the large number of prisoner casualties, the Andaman and Nicobar Islands remained unoccupied by the British. However, on January of 1858, following the Sepoy Mutiny, the newly former ‘British raj,’ that had just replaced the East India Company, decided to re-establish the Andaman penal colony to accommodate the increasing number of political prisoners. Two months later, under the supervision of the superintendent Dr. James Pettison Walker, the first group of 733 convicts reached Viper Island for their sentences. 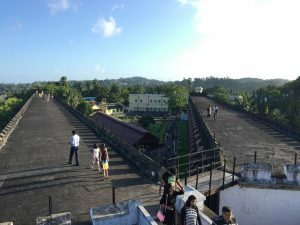 The Sepoy Mutiny, also known as the Indian Revolt of 1857 and the First War of Independence, marks a turning point in the history of the cellular jail. Largely because the mutiny increased the number of Indians being imprisoned. Before 1857, most convicts sent to the Andaman penal settlement had committed crimes of murder, attempted murder, “and other heinous offences against property.” But after the Indian Revolt of 1857, British officers began exiling Indian “freedom fighters” to the Andaman and Nicobar Islands as political prisoners. It took almost thirty years for the British to decide that constructing an actual jail was necessary to successfully run a penal settlement in the Andaman and Nicobar Islands. 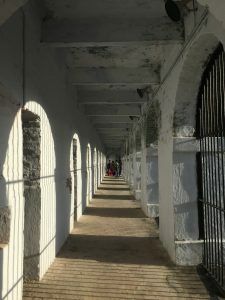 In 1892, as the number of political prisoners exiled to the Andaman Islands continued growing, British authorities decided that building a jail to better control the convicts was a “matter of great urgency.” Constructing the prison was easy for the British, as they used the convicts already present in the Andaman Islands as their manual labor. The construction of the cellular jail was extremely demanding for the prisoners, and it lasted ten years (1896-1906). Besides having to construct the jail themselves, the prisoners had other hard labor tasks including oil extraction and working with coconut fibers for rope making. Each prisoner had to fulfill a daily quota, such as extracting thirty pounds of coconut oil or ten pounds of mustard oil, if not, they would be punished. Common punishments included flogging, handcuffs or fetters for long time periods, neck ring shackles, baggy and uncomfortable uniforms, and unsanitary meals. Because of the horrors suffered by convicts in the cellular jail, the site became known as Kālā Pānī, which literally means black waters in Hindi. The name suggests that the islands existed across long stretches of ‘Black Waters’ through which criminals were transported to be mistreated for the rest of their lives. Despite the severe punishments that the British applied, prisoners did rebel against the prison authorities. In the 1930s, several prisoners conducted hunger strikes to demand better living conditions. Unfortunately, these hunger strikes sometimes resulted in force feeding, which could kill the prisoner. The final hunger strike occurred in 1937 and lasted 45 days, until Mahatma Gandhi and Rabindra Nath Tagore intervened. Soon after, all the prisoners would be released during events of World War II. However, ‘rebellious’ acts such as hunger strikes prove that freedom fighters were not ready to surrender to the brutal and unfair rule of the British, not even when exiled to isolated islands. Ultimately, two events led to the closure of the cellular jail as a penal settlement. In 1941, a massive earthquake badly damaged four of the seven wings of the jail, destroying half of the prisoner quarters. Additionally, the following year, the Japanese took control of the Andaman Islands, during a World War II invasion, removing all British authority from the settlement and even imprisoning some of them in their own jail. The penal settlement was abolished in 1945 when the British regained control of the islands and Japanese occupation had ended. All convicts were granted general pardon. As a foreign student learning about how India’s past has shaped its present, I was fortunate enough to visit a site that embodies a small part of the struggle for India’s independence. For two hours, I walked through the corridors of a place that caused endless pain to over 80,000 freedom fighters. Today, the cells, the corridors, and even the gallows are open for tourists to see the arduous living conditions that the prisoners endured. There are also galleries and several life-sized sculptures of prisoners being tortured and working on oil extraction to explicitly show visitors the horrific lifestyle that they had. 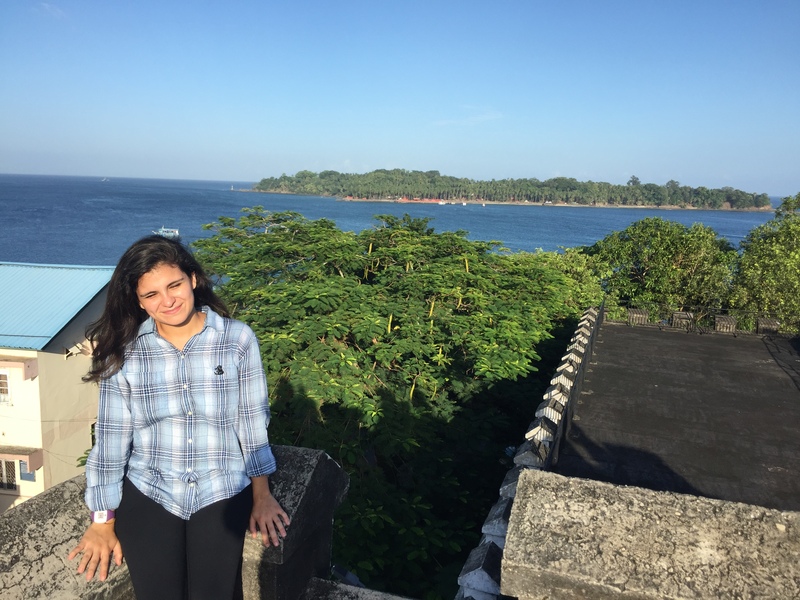 The eerie atmosphere of the site is a huge contrast to the beautiful, ocean view that can be seen from the top level of the jail. 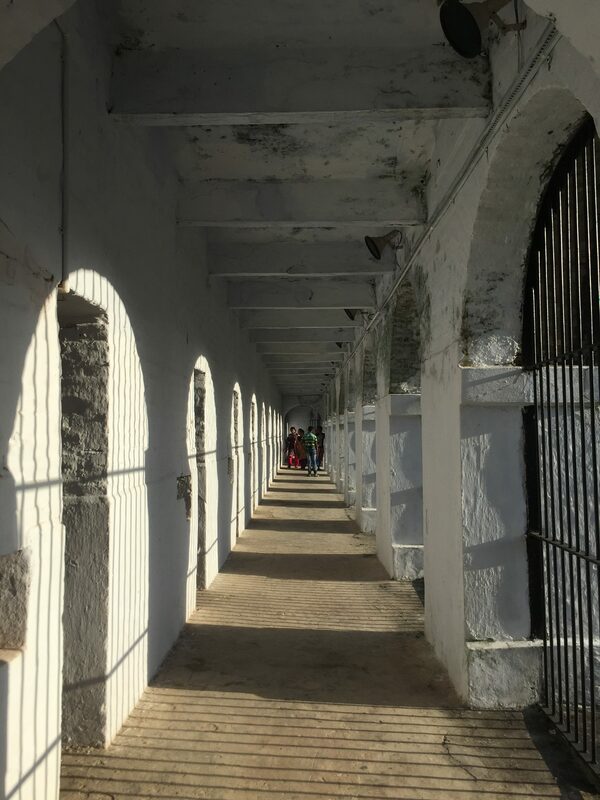 The dramatic contrast perfectly conveys the horrors that convicts experienced in the cellular jail during the British Raj while living in one of the world’s most scenic tropical islands. Previous Post: « What’s with all the Tea?